Marketing technology, or martech, plays an integral role in any modern business. After all, martech makes it possible to play on the high-stakes table that is the digital market. Without these carefully designed tools, sales teams and marketers would be left far behind, unable to make their company’s voice heard in the fast-paced online world. You could say that martech is rescuing the marketing profession. You may or may not already have customer relationship management software in place at your business; and if you do, it’s very possible that your data isn’t stored in a way that’s easily accessible or clearly organized. Plus, you may have marketing software running as well, with its own separate set of data. FunnelWise takes all data from the software solutions you’re using and collects it in one place. The data becomes neat, accurate, and quick to access for both the marketing and CRM departments of your company. According to the FunnelWise website, this martech tool “eliminates the tedious reporting process marketing and sales teams have grown to dread, and instead provides organizations with the critical information they need in single platform.” It creates a funnel that reveals the leads you really want, so you don’t spend time chasing worthless leads. For pricing information related to your specific needs, you have to request a demo of FunnelWise. The product works best for companies with overworked, overwhelmed sales and marketing teams who need clear answers to questions about growth goals and future outcomes. FunnelWise is only a couple of years old, but continues to make huge strides forward in the marketing and sales attribution space. FunnelWise shares how to drill down into key marketing and sales metrics. Bond is all about customization and the personal touch — two things that make your customers more likely to love your company. Bond actually uses “handwriting robots” — computers moving real pens on paper— to write notes to your customers. It’s a legitimate handwritten look, without the hand cramp that comes with writing hundreds of notes yourself. With Bond, it’s as simple as selecting or creating a design, choosing a handwriting style, typing a message, and uploading the list of recipients. The robots write the notes, and Bond sends them out. All the envelopes and postage are included in the price. This is next-gen technology, and the pricing reflects that. You’ll pay $3.50-$5.00 per note for the self-service option, which can send notes to up to 500 recipients. For white-glove service to 10,000 or more customers, businesses can contact Bond directly to find out more about benefits and pricing. Bond caters to companies who want to deliver the ultimate red carpet treatment to their customers. For companies looking to save on a similar service, Thankster is a more affordable option. No robots with pens are involved here, so the notes don’t have quite the same genuine handwritten look; they’re printed instead. Bond computerized technology allows for personalization on a large scale. With Vidsy, businesses can create original mobile video ads at scale. The technology and the user-friendly set of features allow for authentic, effective video ads that really speak to a modern audience. From mobile expertise and creative direction, to account management and branding, to insights and data analysis, Vidsy does it all. According to the Vidsy website, this martech tool is ideal for marketers who know that “TV video production models don’t work for a mobile-first world.” This agile, high-performance mobile ad option may be the new kid on the block, but it’s got immense potential. Recent winner of a Facebook Innovations award, Vidsy is rapidly gaining an enthusiastic customer base. For pricing information, get in touch with the Vidsy team and explore the options that may be right for your business’s needs. Thanks to the wealth of templates and features available through this tool, you can create an app and make it live in app stores within mere minutes. 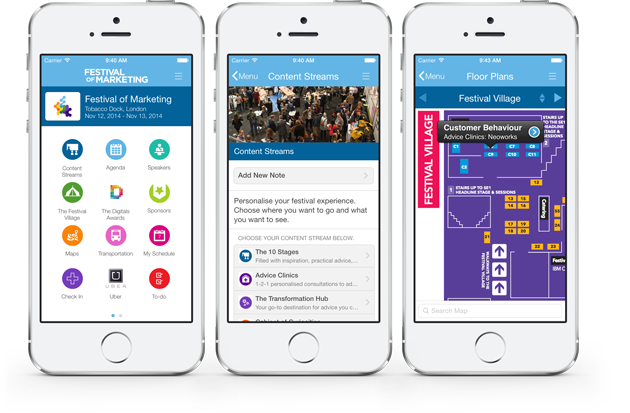 Plus, Guidebook apps integrate with your existing martech tools, like Eventbrite, MailChimp, Marketo, Salesforce, and others. Guidebook has a long list of high-profile customers, including Google, Universal Studios, Amazon, YouTube, Coca-Cola, and Mercedes-Benz; yet their pricing is flexible enough that companies of any size can get in on the action. The self-service plan starts at $5 per device, while the full-service option starts at $3,500 and includes advanced options and support. Guidebook stands above competitors as a provider for mobile apps. Looking for a turnkey, easy-to-use chatbot solution for Facebook advertising? The name to know is MobileMonkey, a freshly minted chatbot platform. 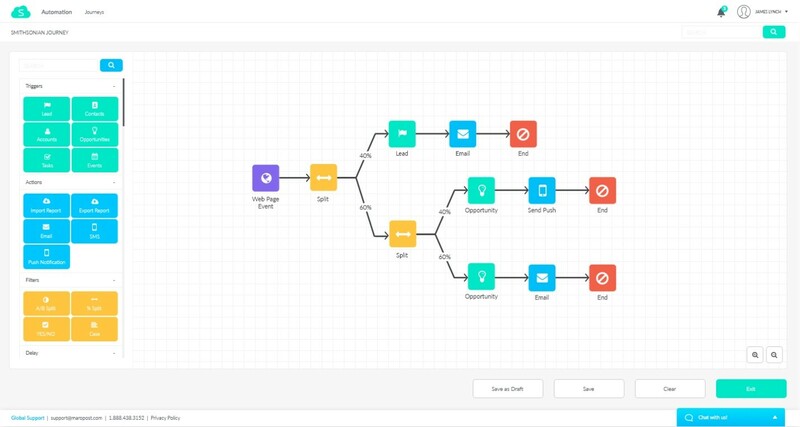 This martech tool claims to be “the world’s best Facebook Messenger marketing platform,” promising to connect businesses with customers within minutes using “the easiest chatbot builder.” No coding necessary! MobileMonkey offers a Free Forever Plan and a Pro Plan ($49/month per Facebook page). You can upgrade from Free to Pro anytime within the account settings area of the tool. Ideal for any business starting a first-time foray into messenger marketing, MobileMonkey is making the chatbot revolution accessible for companies of all sizes. MobileMonkey enables swift, easy creation of chatbots. So what does Maropost do? Everything. The Maropost Marketing Cloud powers personalized customer experiences, while the Sales Cloud simplifies the sales process and boosts growth. Maropost Relay drives emails; Maropost Web Push ensures that you connect with customers instantly; and Maropost Projects streamlines project management and enables greater efficiency. With all these benefits, it’s no wonder that Maropost is gaining traction in the martech space. The sheer level of automation, analytics, and cross-channel potential of this tool is enough to make its competitors nervous. To get a customized quote for your business, use the Maropost Pricing Calculator. Maropost accelerates your sales cycle with accurate targeting. 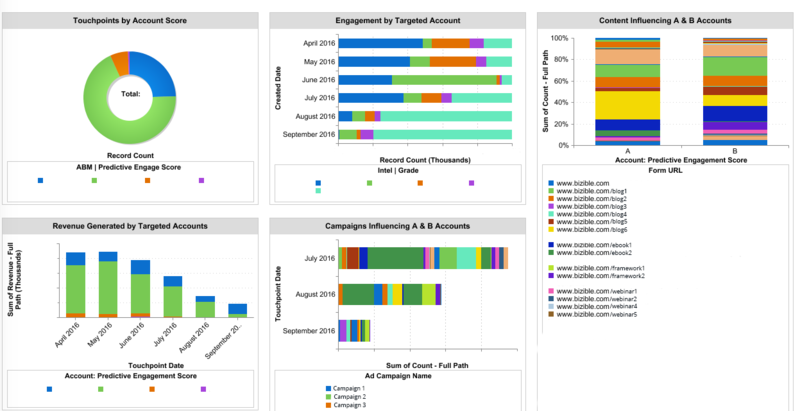 Marketers who enjoy variety and options will love Bizible for its flexibility, which supports account-based, full-funnel, or revenue reporting, as well as offering streamlined setup and deep integrations. Its power to drive demand generation, revenue attribution, and meaningful analytics is much-needed for large companies with complex marketing campaigns. Bizible isn’t for beginners. 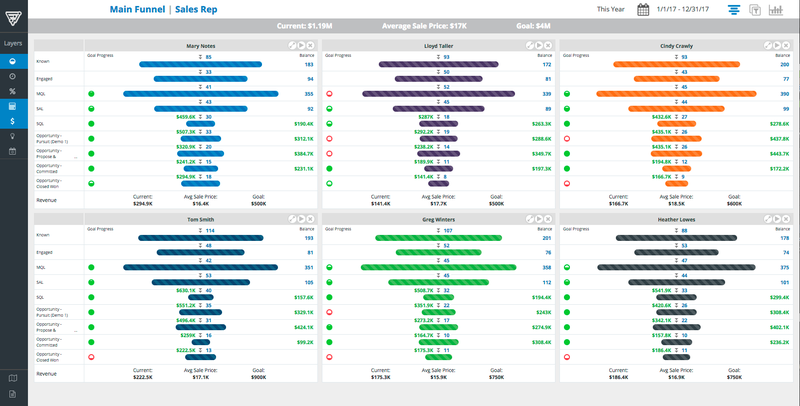 This tool packs a serious punch for serious players, and its recent acquisition by Marketo speaks to that fact. They don’t disclose pricing, though I can tell you it isn’t a trivial cost you can just put on your credit card. If you’re looking for a closed-loop reporting solution, though, Bizible may be the best fit for you. Bizible provides helpful tools for driving customer connections and lead generation. If your current martech stack just isn’t working for you, it might be time to leave behind some of the older, outdated solutions and try these fresh options. Get the tips for “How to Audit Your Martech Stack and Eliminate Bloat in 2018,” and then pursue alternatives that can actually improve efficiency and ROI and give you the revenue boost you need.